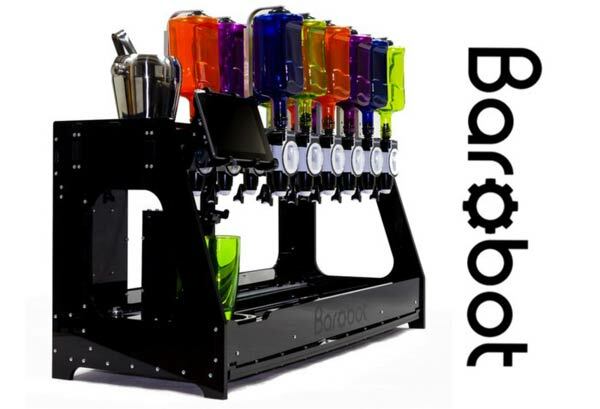 A new project on crowd-funding website Kickstarter has caught our attention as it offers a drinks mixing robot bartender that goes by the name of ‘Barobot’. The open source Barobot will sure interest those who prefer just to drink a cocktail and leave the mixing to be done by someone else. The team behind the device wants to raise £90,000 in crowdfunding to get this cocktail robot to the market. 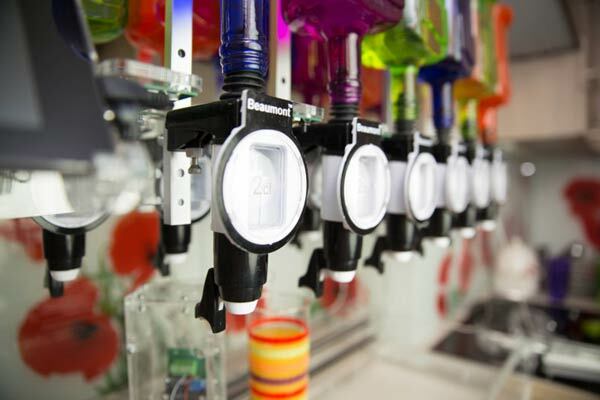 The device can accommodate up to 12 bottles, allowing users to add a wide variety of beverages to create their favourite cocktails. It also comes equipped with over 1000 cocktail recipes, and a 7-inch tablet that runs the Barobot’s app which you control the device with. A ‘sofa app’ is also available for users to select their cocktail from their mobile phones – to avoid the chore of queuing for a drink. Of course, for those adventurous drinkers, it also allows you to create your own cocktail according to your needs or desires. However, this is certainly not the first time we’ve seen automated drinks services, with previous examples such as Monsieur and Makr Shakr showcasing robotic cocktail making. But Barobot aims to appeal to more everyday consumers with its flat-pack self assembly form factor that requires no advance skills or tools to set up. It may also attract businesses of course, but the team predominately wants Barobot to look after personal bartending needs and allow hosts to focus on their friends and guests at a party. The device also aims to add to the atmosphere of an event as it houses over 100 individually controlled LED lights that can be set to a number of light-themes and synchronised to music. Drinks and entertainment! Being an open-source project also means that anyone can build the machine from scratch. The makers are even encouraging anyone to make their own version as they hope to create a community of makers and hackers to develop more features for the Barobot. Maybe someone will come up with a way for the Barobot to mix and shake drinks, as it currently does not have the ability to do so. But the makers have mentioned that the due to the height of the dispensed liquid, the device does already mix drinks pretty well without the need for additional mixing. No doubt, human bartenders will probably disagree with this! If the team reaches their funding goal, shipments of the device will be due around August and September this year. The machine will be priced at £774 for early backers and £949 for anyone else. Itching to replace your human bartender for one of these? Take a look at the video below! Previous story Smartphone sized battery pack can recharge your phone and jump start your car!